Last week, U.S. 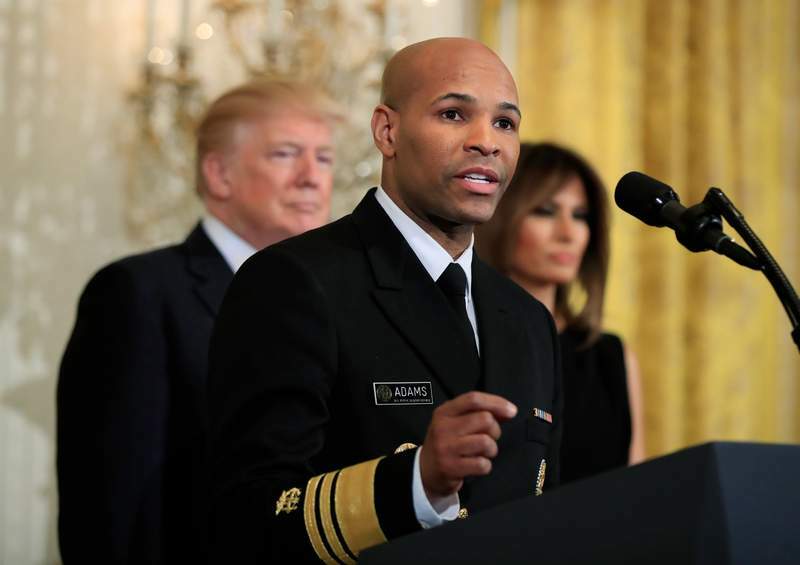 Surgeon General Jerome Adams issued an advisory urging more Americans to obtain and learn how to use naloxone, an easy-to-administer antidote to an opioid overdose. Such advisories from the nation's top health official are rare. The last one was in 2005, warning pregnant women not to drink alcohol. Adams, who became U.S. surgeon general last year, hasn't forgotten his roots. In his previous job as Indiana health commissioner, Adams helped lead the state's response to the opioid epidemic. Adams has a family connection to the drug crisis as well – his younger brother is serving a prison sentence for an addiction-related burglary. Now Adams is bringing that understanding to bear in the national fight against opioid abuse, which has killed more than a quarter of a million people over the last decade. The epidemic has hit this community hard. In Allen County last year, there were 127 drug-poisoning deaths, many of them from opioids. So far this year, there have been eight confirmed deaths and 25 more await toxicology testing, according to the Fort Wayne Police Department. 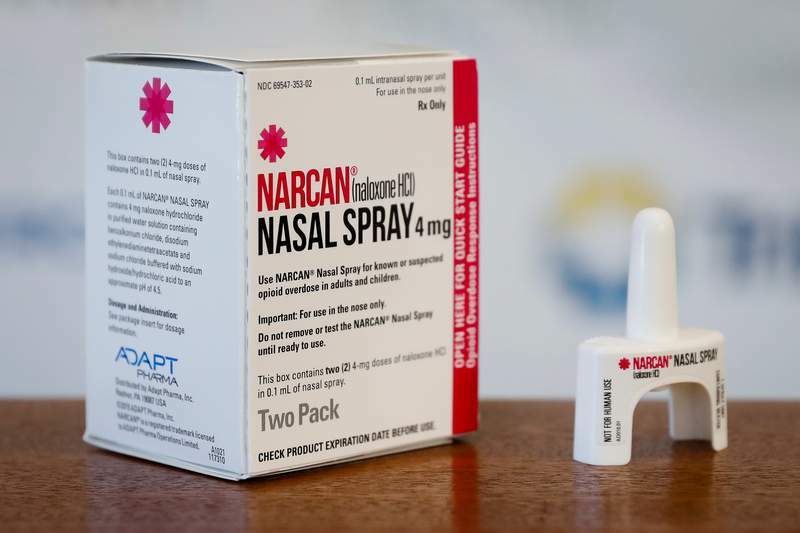 But here and around the nation, first responders have prevented many more deaths by administering naloxone, which is often known by the brand name Narcan. “It is time to make sure more people have access to this lifesaving medication because 77 percent of opioid overdose deaths occur outside of a medical setting and more than half occur at home,” Adams said. Speaking in northern Kentucky this week, Adams took on those who argue reviving overdose victims is just “enabling” drug users to continue their destructive behavior. “I say it's enabling recovery,” Adams said. He also urged Americans to avoid stigmatizing those in the grip of opioids, Cincinnati.com reported. “We need to see addiction as a chronic disease, not moral failing,” Adams said. Allen County Health Commissioner Dr. Deborah McMahan, whose department has used a grant to distribute Narcan to emergency workers as well as libraries and other institutions, was among those who were heartened by Adams' words. “We're trying to get people to feel comfortable carrying Narcan and using it when they need to,” McMahan said. In Indiana, anyone may purchase an easy-to-use Narcan applicator from the health department or from a pharmacy, McMahan said. The antidote costs about $80 a dose, though it's covered by many health-insurance plans. Adams' advisory emphasized that friends and families of addicts are especially encouraged to acquire and carry Narcan. But McMahan said others should consider having it available as well. “It's a relatively small investment to be a good citizen,” she said. You don't have to make a diagnosis to administer the antidote to an unconscious person who might have ingested opioids, McMahan said. “It's life-saving, and you're not going to hurt anybody,” she said. “If it's a cardiac problem and you give them Narcan, it's not going to make it worse.